America loves it's live music. The jazz scene landed, edgy and hot onto the American urban landscape like a ferocious tiger. Quickly followed by the swing band era of the 1930s and '40s, its seamless rough-and-tumble wail, wrapped millions of enthusiasts up in a layer of sophistication. Names like Woody Herman, Charles Mingus, Dizzy Gillespie, Charlie Parker, Duke Ellington and Benny Goodman are so firmly fixed in the music lexicon that they quickly spring to mind. And the divas of the stage? Who can forget Billie Holiday, The Andrew Sisters, and Ella Fitzgerald? They had unforgettable voices of smoky wisdom floating in the air. Voices. It's ironic how every facet of the entertainment industry has managed to neatly box women into restrictive roles that limit their potential and stifle their voices, while men have been given free access to multi levels of artistic expression. 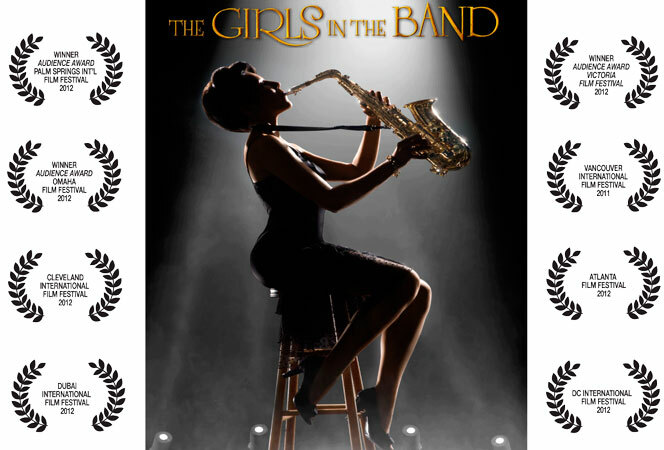 The Girls in the Band is an excellent PBS documentary, exploring the history of female instrumentalists in American jazz and swing musical bands. Veteran female artists of the saxophone, drums, and horn section, remember their struggle to play music in bands. Whether it was a big band or small, the American jazz and swing band scene was male. Sure, a Dinah Washington or a Peggy Lee could lend their skills as a vocal artist in a band - as long as the band was led by a male and accompanied by an all-male orchestra. 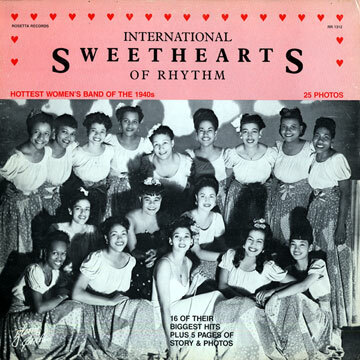 Carline Ray, who played with the International Sweethearts of Rhythm - an all-girl, multi-racial band - remembers the jealousy by male artists, "The men wouldn't call females horn players." That hostility saw any female instrumentalist who temporarily filled in for a male prevented from permanently joining the band. 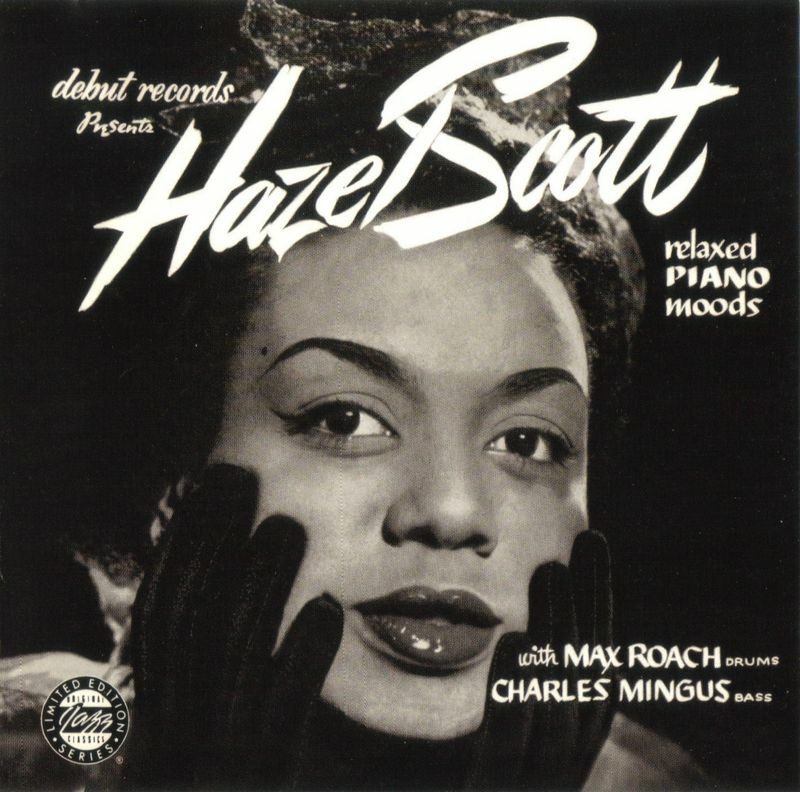 Yet, they continued to press on: Hazel Scott, sizzling blond Ina Ray Hutton and Her Melodears, the Ada Leonard Orchestra, Jessie Bailey, Anna Mae Winburn, Helen Woods and Willis Mae Wong all added their sounds to the codex of music history. 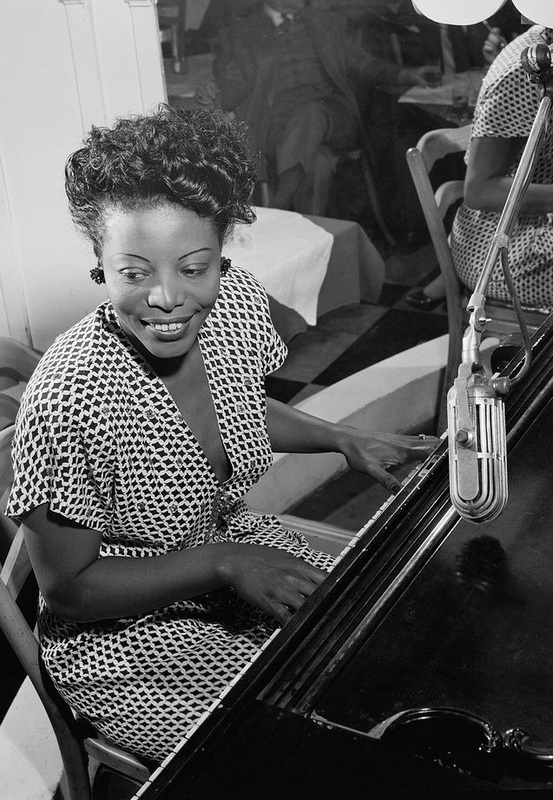 Their stories illuminate a caste system based on gender: Mary Lou Williams, who played with the Andy Kirks band, arranged their music - something virtually unheard of during that era. The Peggy Gilbert orchestra members recall being treated as novelties, instructed to smile and dress provocatively on stage. 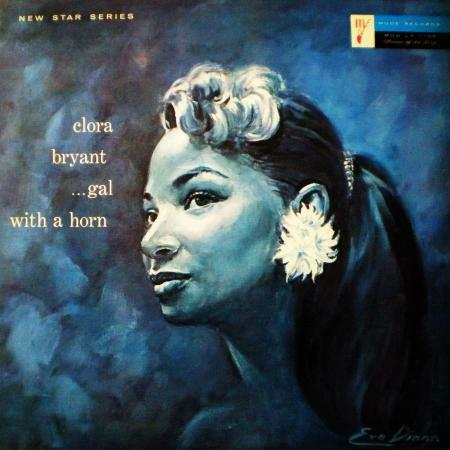 Blanch Calloway, was the first woman to lead an all-male band, the Joy Boys. 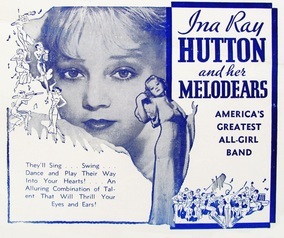 The International Sweethearts recount the racism of playing in the South during the Jim Crow era. World War II offered a lot of work, filling in for male musicians playing in bands on the front. 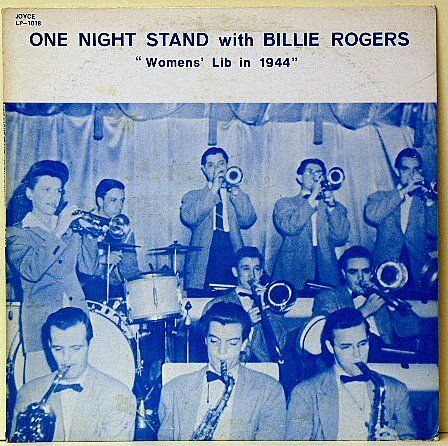 "We got work normally reserved only for male musicians", says Billie Rodgers, trumpet player. It was an exciting time, as the women played ballrooms, theaters, USO tours and military bases. However, once the war ended the women had to shift with the times, as the male bands came back and the status quo quickly returned, "A lot of girls had to go back to the kitchen". Male musicians still didn't want to work with women and the oft-repeated "you play well for a girl" seemed like a bitter pill to swallow after their WWII experience with gender parity. 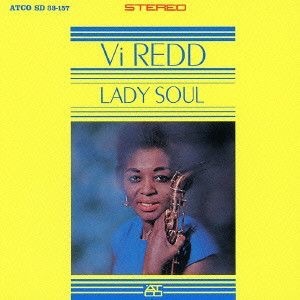 Artists like Vi Redd - "the Female Charlie Parker" and Melba Liston worked hard to get noticed and respected in their field. 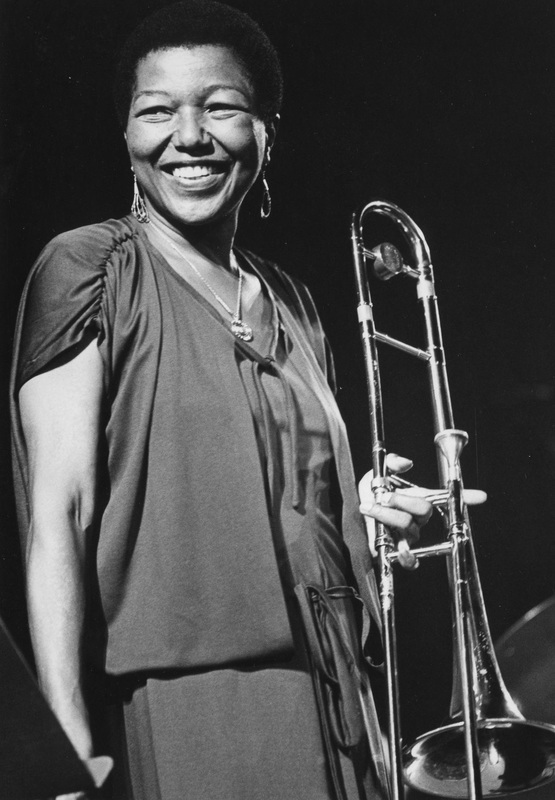 Yet the social movements of the 1970s and 1980s helped break down the barriers and mindsets that held back female musicians, and saw the likes of Patrice Rushen, Jane Ira Bloom, drummer Terry Carrington, Sherrie Marcile of the Diva Jazz Orchestra, Esmeralda Spalding, and Hirohito Uehara come forth to claim their spot on the stage. 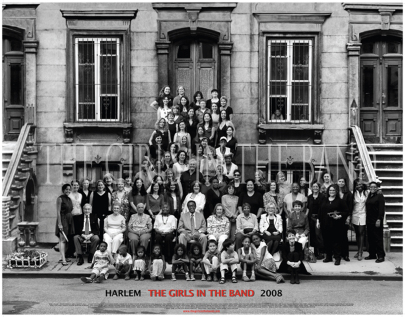 The Girls in the Band opens with a photo gathering of musicians in Harlem, featuring only two female performers. The ending shows the same location, decades later, and a photo shoot that includes both seasoned stars and talented newcomers. It's a living testimony to the tenacity of the feminine spirit, that refuses to allow others the power to define her voice.